Steven Hawke: Hi, it’s great to finally talk to you all! My friends and I have been playing Warframe since its launch on the PS4. One of the objectives I have with some of the articles I write is to break the binary from something that is traditionally thought as good or bad. With this article, I was trying to show that there is an entire spectrum that a game could be on, and one can’t define a game as pay-to-win or not pay-to-win, because even the most successful titles, like Warframe, have pay-to-win “aspects” in my opinion, but it can be done with players in mind (a point I may not have made as clear as I should have in my piece). I suppose that got a little muddled because the term “ pay-to-win” is a serious criticism and I was throwing the term around in a more casual manner regarding specific items, not the game as a whole. 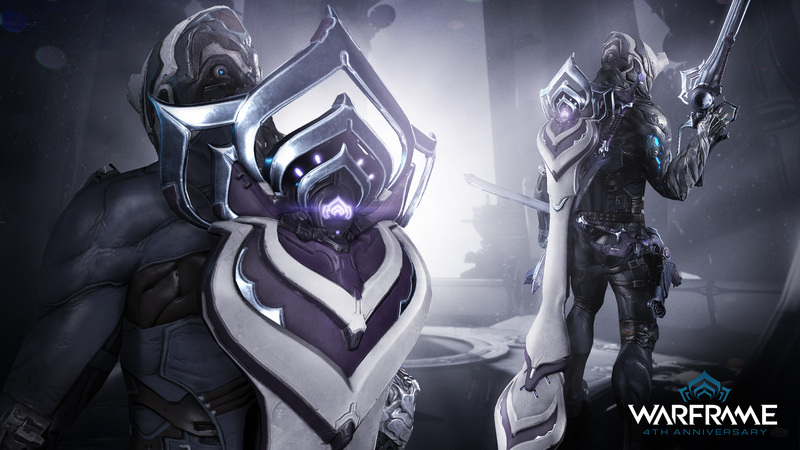 Anyway, I would love to hear your opinion on some of the points I brought up in my article, as well as some questions about the future of Warframe. But before we get started, can you introduce yourselves to readers who might not know you? Rebecca Ford: Sure thing! My name is Rebecca Ford and I’ve been a Digital Extremes team member for six years now. My current title is Live Operations and Community Producer, which really means the day-to-day live game and overall community are under my care. I’ve been a part of Warframe since day one! SH: I want to address that commenters had some disagreements to the baseline philosophy of my article, specifically the disagreement on the concept behind the basis of pay-to-win. A lot of players were pointing out that Pay-to-Win can’t exist in in a primarily PvE game. Do you, as developers, agree with this idea that it can’t exist in Warframe? RF: Winning is nebulous in PvE, especially our niche interpretation of PvE. In PvP, we clearly know we’ve won because the conditions of a match are clear. In our PvE structure, we have a variety of open-ended missions that largely are part of a bigger goal for players. To me, that’s what this really all comes down to: What is your goal when you play Warframe? Collect everything? Blow off some steam in a more casual environment? Immerse yourself in our growing quests? Dive into our expanding lore? Is it the PvP (called “Conclave” in our world)? All of the above? 2) Do it while looking cooler than someone else. SH: One element that I stamped as pay-to-win was the artificial lengthening of content, with options to skip behind a paywall. Although I agree with some, such as Warframe timers, others such as Forma timers feel like they are actively designed to frustrate players to the point of spending platinum. Is there a reasoning behind the forma timers being so restricting, while formas serve such a critical part for builds? RF: Forma is an interesting one; it’s part of the “gear enhancers” in the same way Orokin Catalysts, Orokin Reactors, and Exilus Adaptors are. But it’s the only one of the group that can be used multiple times on the same item, so players are faced with the time wall more frequently than the others! Forma entered Warframe after Orokin Reactors and Catalysts, but we felt they were similar enough to use the exact same structure for crafting. One must also consider factors: Why do we give they players the option to spend 10 Platinum to get their Forma instantly if they’re crafting? Well, I kind of answer this below. That is what pays for the months of work that go into things like Octavia’s Anthem, which is available instantly for free when your download is complete. SH: As a secondary question associated with Formas, I see in the most recent dev stream it was stated that multi-Forma crafting was not currently in the process. That leaves me asking, is there a design change to Formas and Polarities coming? RF: No. We don’t have anything to say about this at the moment. SH: Another part that I feel as though could be considered pay-to-win is the prime vault. Although the difference is slight between a prime Warframe and a general Warframe, the advantage is there. 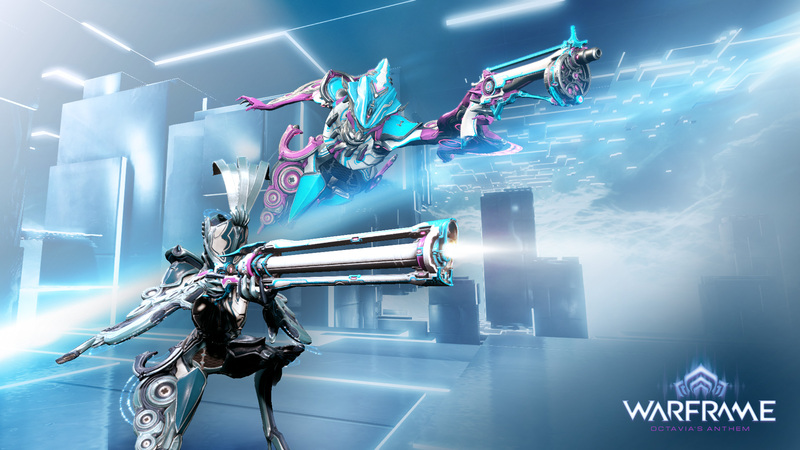 I understand the purpose of opening room for the new, but with the last prime vault opening costing 60 USD, I find it hard to not accredit the cost of buying prime vault Warframes with pay-to-win practices, but I recognize this could just be my opinion. What is the future for the prime vault as more things start flooding it? RF: Warframe is free to download and free to play. Early in its development and after listening intently to our audience, which is now more than 30 million registered users (! ), we realized it’s important to give players the choice to either spend time or spend money. We give players a huge amount of options and choices to play the way they see fit. If they have the time, they can get everything by venturing into the latest updates full of lore, advanced missions, etc., and that includes Primes. Players can earn those cost-free. If they don’t have the time, they can spend money. Honestly, most people do a little of both. SH: What is the player who does not have 60 dollars for a bundle to do once the, say Frost Prime, parts start to inflate even higher to unfarmable amounts of plat? RF: If a player doesn’t stockpile Relics while the Vault is open to crack at their leisure, then Trading would be the only way to get Vaulted frames. This depends entirely on what you feel “unfarmable” is. Right now the Trading stats show me that in April so far (on PC), a full Ember Prime Set goes on Average for 470 platinum, a full Rhino Prime for 390 platinum, Frost Prime for 235 platinum. Ember Prime is the most valuable Vaulted Warframe in the trading market at this time. But my stats also show me a single Arcane — earned through Trials — can be traded for roughly the platinum equivalent of a full Ember Prime Set. Two of Baro Ki’ Teer’s Primed Mod offerings also could be traded for the platinum equivalent. So, I don’t think we’ve reached the “unfarmable” yet. I watch the stats closely enough that when we do, we’d address it. SH: Moving on to actual game content, I want to thank you guys for re-opening the weapon design contest! Some of my favorite weapons have come from the community one way or another, being the Kronen and the Twin Grakatas. What are you guys hoping to see submitted in this next round of player-made weapons? Have you guys considered doing some non-weapon contests? Possibly a mission design contest? RF: The winner has been chosen! 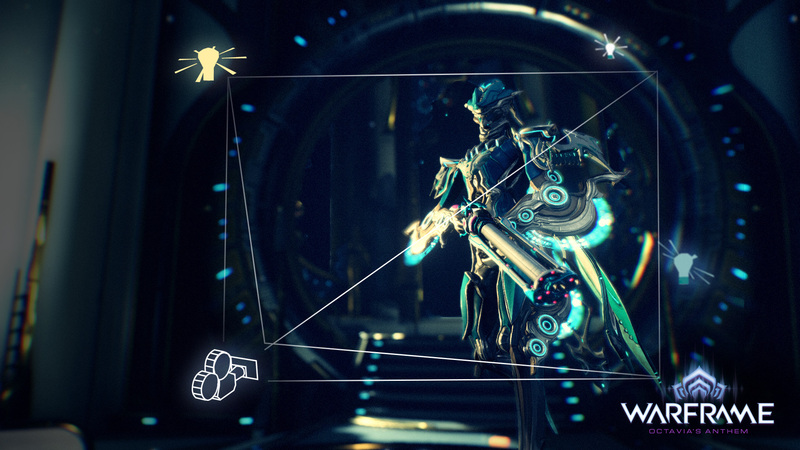 It is Warframe creator “SilverBones.” His new weapon is the Grineer Plasma Kusurigama. I was excited that this won because SilverBones has been a core community member since 2012 and he knows what the players love! I had my eye on a few Rapier style weapons, but the players have spoken and I’m happy this won! The popular Nova Warframe exists because of a similar contest. She was designed by the players. We have done mission Sandboxes from players but we’re yet to implement anything — Steam Workshop has largely consumed most of our “made by player” efforts! SH: One big criticism for Warframe I see is the lack of dedicated “endgame only” content. Has there been any plans of creating a new endgame angle, or are you focusing your resources toward different parts of the game? RF: Traditional PC and console games almost always have an ending that leaves the door open for more, i.e. for a sequel, a “part two.” Those are games we generally perceive as having beginnings, middles, and ends. However, people often complain about endings that feel a lot like non-endings, where, you know, the ending is really just a door into the next sequel. The stories of action RPGs such as, just for example, Borderlands or Fable, have ongoing stories, but with longer periods of time between iterations. MMORPGs never really have endings; just look at World of Warcraft! MMORPGS are more about the journey and the experience then the completion. Having said that, we’ve been asking ourselves how to address endgame for four years, yet we still journey forth with record-breaking momentum. I’m convinced there is no silver-bullet solution for us for this — and that’s related to the earlier “goal” dilemma in PvE and Warframe specifically. It’s all about experimenting for us, while making sure players can put their ever-growing Arsenals to use. That use could include taking part in a story, a clan, an event, or all. We are currently focusing on something that we’ll announce at TennoCon 2017! SH: Many players and personalities like Mogamu have exclaimed that they would like to see a more developed story surrounding the Warframe universe. Have you guys thought about developing story around older content? RF: Yes — and we have! We’ve started to give every Syndicate its own quest (and even events), and we’ve included old characters in new stories. Some older lore systems are showing their age — we used to write Codex entries for Prime Warframes; now we make cinematic trailers instead. The ideal scenario is we “do it all, always” but the greatest enemy to any developer is time. I can assure you, more people saw and enjoyed the Prime Trailers than the Codex entries, which means we’ve made the right transition. We’ve also added little details — we used to have a “Fusion Core” system that was visually uninteresting, yet essential to Warframe. So we redid it with Endo and Ayatan. We made the world interact with the Fusing process; there are treasures to be found, and characters like Maroo care about this system. I wish we could do more “Octavia’s Anthem” level quests more frequently, but that was the result of months of work. And if a player was ready, they got this quest instantly for free the moment they logged in. That’s why those other frictions exist that you asked about earlier. SH: What is your design philosophy behind creating storyline content for the future? Do you want more of a fleshed-out story for the future or to continue with more of a labyrinthine puzzle for players to connect the pieces around? RF: There are two stories being told simultaneously at this point: The story of the Tenno, and the story of Warframes. The Tenno story is a fleshed-out linear journey-in-progress, but Warframe stories will be a little more cryptic for the foreseeable future! SH: The last question I wanted to ask pertains to the Earth overhaul. Will we be seeing any signs of early infestation hidden in that overgrowth? RF: Nope, you won’t see anything of the sort. SH: Any sneak peeks of upcoming game info we can surprise our readers with? RF: Depending on when you publish this… the 33rd Warframe is coming. Red Veil will receive a quest for the newest entry. SH: Thanks for your time, Rebecca! +1 Also, ♥ Warframe so damn much. Even if I didn’t like it, I wonder what other free games naysayers have tried that do the free model better?